All-time late-night funnyman Jay Leno is making an appearance in Toronto this winter for an evening of non-stop laughter. 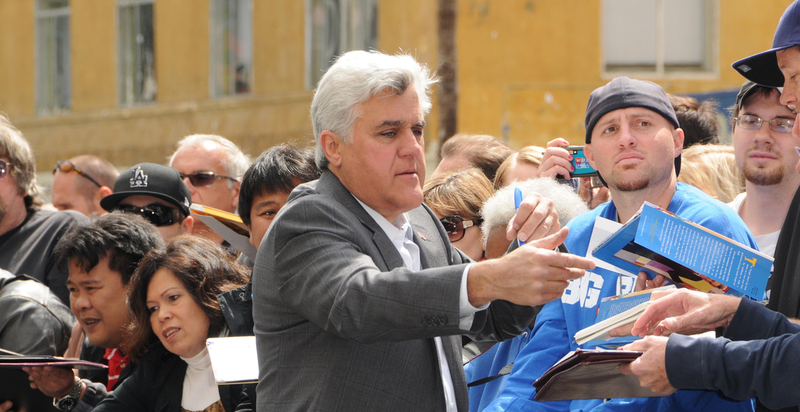 For more than two decades Leno dominated the airwaves, winning an Emmy and a slew of other awards, including a star on the Hollywood Walk of Fame for his work on The Tonight Show. Hosted by Trillium Health Partners Foundation, Jay Leno will be taking the stage at the 6th annual Laugh Out Loud Gala on February 10 at the Toronto Congress Centre. Previous LOL headliners include Howie Mandel, Martin Short, Russell Peters and last year’s host James Corden. “Jay Leno is a comedic legend, and this year’s gala will carry on our tradition of delivering unparalleled entertainment by continuing to showcase the best comedy the world has to offer. We look forward to seeing what Mr. Leno has in store for us, as we raise critical funds for our hospital, ” said Steve Hoscheit, President & CEO, Trillium Health Partners Foundation. Tickets to attend will cost you a pretty penny, starting at $600 per person while tables range from $6,000 to $8,500, but we can guarantee Jay’s performance will be worth every penny.